Entry-level start-stop systems are usually equipped with an EFB (enhanced flooded battery). The VARTA® Blue Dynamic EFB fits vehicles with higher than normal energy demands. 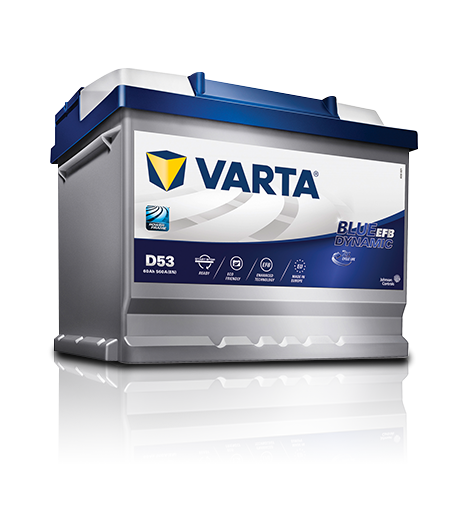 So, if you´re looking for a battery with extended cycle life compared to a conventional VARTA battery, the VARTA Blue Dynamic EFB is the right choice. Keep in mind: Some entry-level start-stop vehicles come with an EFB. EFB batteries should always be replaced with like-for-like OE spare parts such as the Blue Dynamic EFB. To improve performance, EFB batteries can also be replaced with a VARTA Silver Dynamic AGM battery.